Waterfall Info: From the bottom, this is the second and last waterfall on Sorrels Branch. 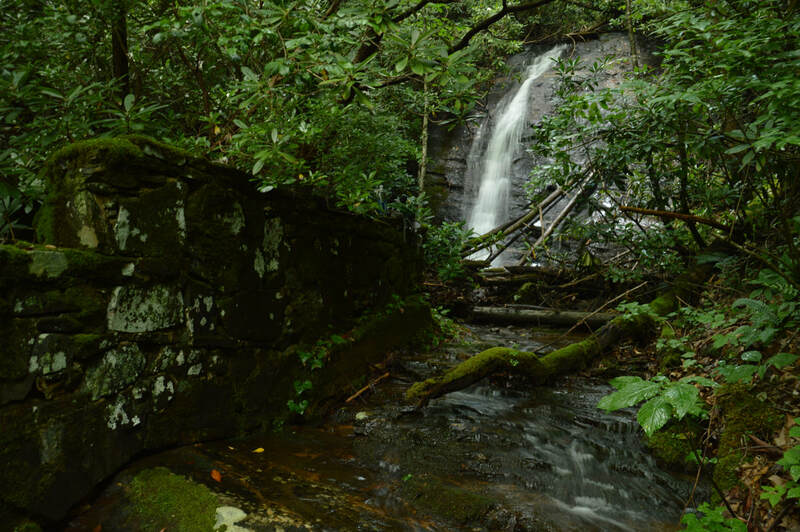 A mysterious ruin that remains unidentified stands in the creek just below the falls. Access Info: This waterfall is accessed by a faint trail from Highway 180.